06 Şubat 2019 Çarşamba 17:00 - 12 reads. 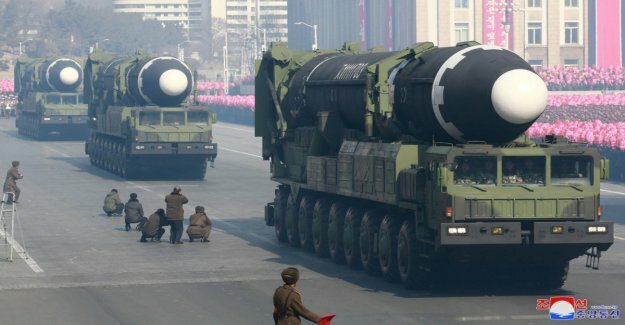 North Korea's nuclear and missile programmes, according to an assessment by UN experts to be "intact". The Land use, among other civilian facilities such as airports, to ball, to assemble ballistic missiles, and to test, stated in a report to the UN security Council, the AFP news Agency, according to its own figures could see. Thus, Pyongyang wanted to prevent, that the missiles would be destroyed by air attacks in the United States. The U.S. television network CNN also reported on the report and convene, among other things, to a UN diplomat. according to The Reports, the UN experts complain that the sanctions against the internationally-isolated country would be largely "ineffective". So North Korea get more illegal Oil shipments, sell coal, and is in breach of the arms embargo. Among other things, the country's leadership attempts to deliver weapons to Syria, the Houthi rebels in Yemen, to Libya and Sudan. Financial sanctions are being poorly implemented and would massively circumvented. US President, Trump announced in his state of the Nation meanwhile, a second summit meeting with North Korean leader Kim Jong-un in February confirmed. The meeting is to take place in Vietnam. Kim had said at the first summit with Trump last June in Singapore for a complete nuclear disarmament, but not the Details. The negotiations between North Korea and the United States fell since then to a Halt. US intelligence services also have strong doubts as to whether Kim really wants to disarm completely nuclear. On Wednesday, the US special envoy Stephen Biegun is expected to hold talks in Pyongyang.